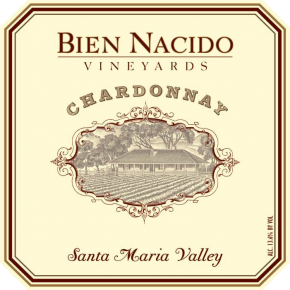 Bien Nacido Chardonnay is sources from a late 1970’s planting of Clone 4 Chardonnay. This vineyard site in Santa Maria Valley is at 600feet elevation and only 16 miles form the Pacific Ocean. The vineyard has a great diversity of soils containing limestone, shales, uplifted marine volcanics and loam. The wine has aromas of key lime, almonds and lemon custard. the palate is precise and focused with nice richness on the mid-palate that leads to a deep and long finish.